In France, a Wikipedia admin was sought out by France’s homeland intelligence agency, the Direction Centrale du Renseignement Intérieur brought physically to their offices, and forced to delete an article about a military base (which they claimed contained classified information) if he did not wish to be held overnight. This sort of bullying tactic is one up with which we should not put. The issue later became a minor cause célèbre in the French press for a short time. As noted last week by AuditCom chair Stu West. A year after its announcement as the first new Wikimedia project since 2006, Wikidata has now begun to serve the over 280 language versions of Wikipedia as a common source of structured data that can be used in more than 25 million articles of the free encyclopedia. By providing Wikipedia editors with a central venue for their efforts to collect and vet such data, Wikidata leads to a higher level of consistency and quality in Wikipedia articles across the many language editions of the encyclopedia. Beyond Wikipedia, Wikidata’s universal, machine-readable knowledge database will be freely reusable by anyone, enabling numerous external applications. The development of Wikidata began in March 2012, led by Wikimedia Deutschland, the German chapter of the Wikimedia movement. Since Wikidata.org went live on October 30, a growing community of around 3,000 active contributors started building its database of ‘items’ (e.g. things, people or concepts), first by collecting topics that are already the subject of Wikipedia articles in several languages. An item’s central page on Wikidata replaces the complex web of language links which previously connected these articles about the same topic in different Wikipedia versions. Wikidata’s collection of these items now numbers over 10 million. The community also began to enrich Wikidata’s database with factual statements about these topics (data like the mayor of a city, the ISBN of a book, the languages spoken in a country, etc.). This information has now become available for use on Wikipedia itself. The next phase of Wikidata will allow for the automatic creation of lists and charts based on the data in Wikidata. Wikimedia Deutschland will continue to support the project with an engineering team that is dedicated to Wikidata’s second year of development and maintenance. Wikidata is operated by the Wikimedia Foundation and its fact database is published under a Creative Commons 0 public domain dedication. Funding of Wikidata’s initial development was provided by the Allen Institute for Artificial Intelligence [AI]², the Gordon and Betty Moore Foundation, and Google, Inc.
A Raw Interview: Ruslan Tsarni, uncle of the Boston bombers. 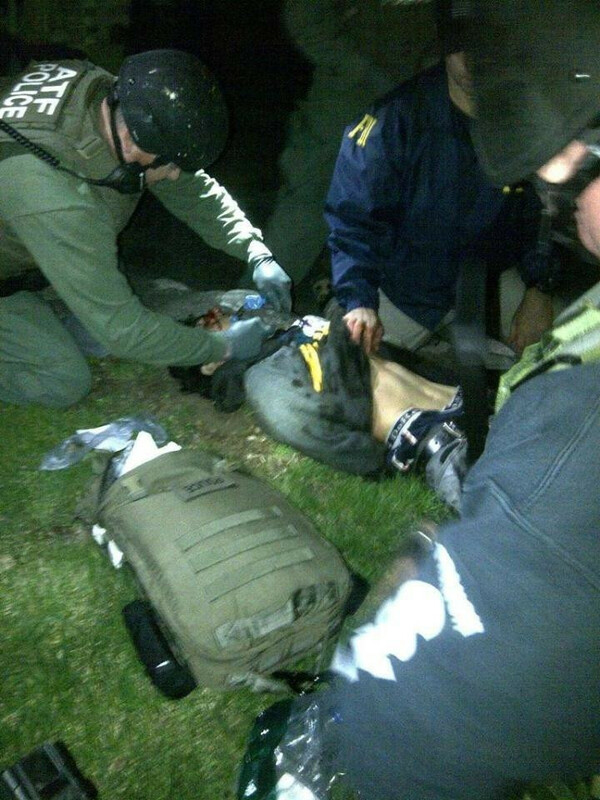 Update: Dzokhar was captured alive, around 20:30 EST, after hiding in a boat in a Watertown backyard. @Boston_Police: CAPTURED!!! The hunt is over. The search is done. The terror is over. And justice has won. Suspect in custody. This public interview from today with Ruslan Tsarni, uncle of the Tsarnaev brothers, is impressive. It seems to be from a conclave of media who turned up on his property; and highlights what the media look like as a herd without preptime, and what a family man looks like when stripped to his instinctive graces. Today was a horrifying day for Boston – our annual celebration of pride, unity, and Spring put on hold for bombs and ambulances. My thoughts are with those who have been injured or killed. We have these strange interplays of increased safety and increased risk at large public events – it seems to me there is more we could do to shift the equilibrium towards safety in numbers. Even in the face of anonymous attacks from a distance. Life does not seem to have a monopoly on the attention of the gifted. A brief commemoration, from a community in mourning. See John Baez’s Open Questions in Physics. The study results were discussed among researchers back in November.